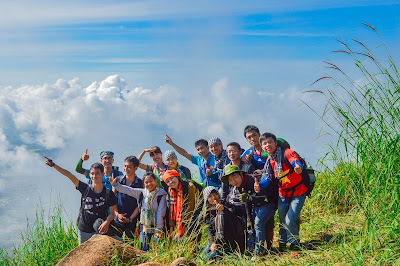 Châu Đốc town is a popular place in South’s Vietnam which has a diversity food culture. 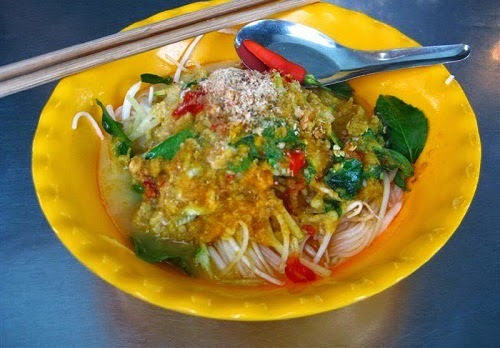 The visitors can enjoy the delicious fish noodles or the tasty sauce noodles, but they cannot miss one Best Vietnamese Food of Châu Đốc which is Ken Vermicelli (Bún Kèn). 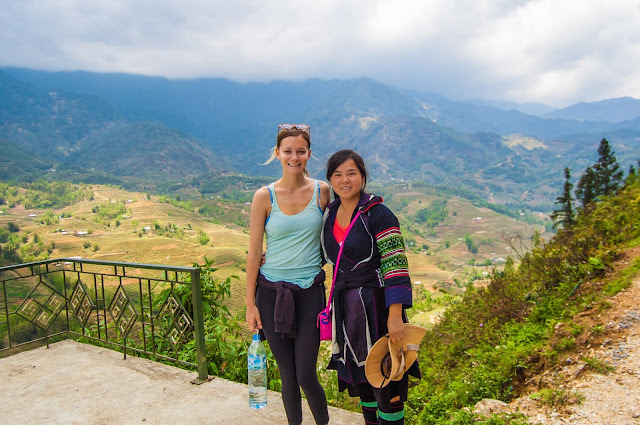 According to the local people, this Best Vietnamese Food was started from Nam Vang, but the citizens there change the taste and flavor to make it fit with their eat. 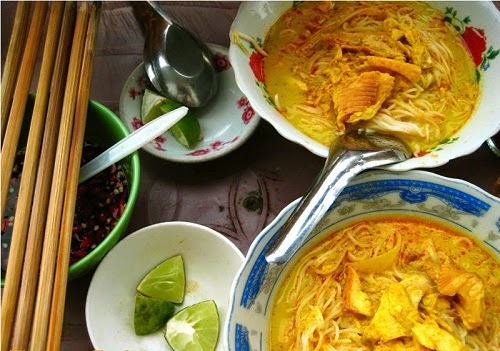 The attractive broth of Bún Kèn comes from the sweetness of fish and the fat of coconut’s water. The fish for cooking have to be the snakehead fish due to the meat of this fish is brittle and have a little smell. After cleaning the fish, it is put into the hot pot until it boiled. Next, it is taken out and wait to it decrease temperature. Then, the fish is cut into piece; the bones, the skin and the meat are taken separately. After that, use another pot to fried the scallions and garlic until they go to yellow. Next, adding the ingredient like curry, herbs and cinnamon into the second pot. 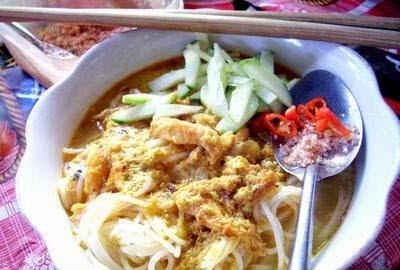 Then, you can enjoy the taste of this Best Vietnamese Food. This dish can enjoy with some vegetables like salad, banana flower, herbs, cucumber and spinach. 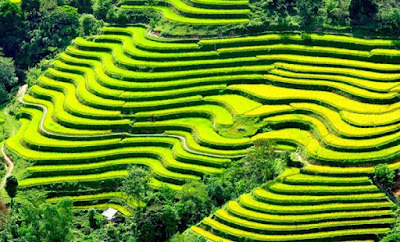 Even the Best Vietnamese Food and well known in Châu Đốc, this dish is not sold popularly in the luxurious hotel and restaurants. The only way find out this Best Vietnamese Food is the some street vendors. 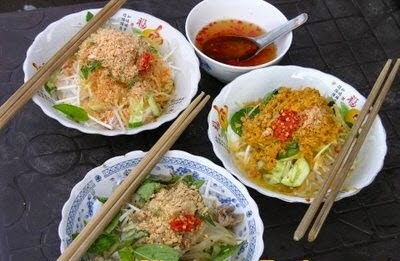 VietnameseFood.com.vn also introduces one popular address for you if you like enjoying Bún Kèn. On the Phan Van Vang Street, near the Trúc Coffee of Châu Đốc town is the best area selling it. 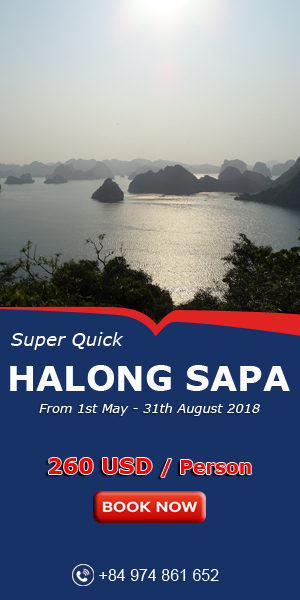 If you are bored some fat and fast food in the Ho Chi Minh City and have a chance come to Châu Đốc, do not miss Bún Kèn, which is one of the Best Vietnamese Food of Chau Doc town. Make sure you already take note this dish on your diary travel book before visit our beautiful country.